Evaluate your uninsured and under-insured motorist coverage on your car insurance policy and make sure it adequately protects you and your family. I've said it before - and in better economic times - but it's worth repeating. Evaluate your uninsured and underinsured motorist coverage on your car insurance policy and make sure it adequately protects you and your family. 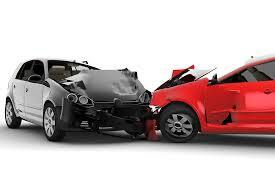 In my practice, we are getting more calls from people hurt in accidents caused by drivers without insurance. These days, it seems more and more drivers are dropping coverage or can't afford it. If you're seriously hurt in an accident but there is little or no insurance coverage, you may be stuck with debilitating injuries, mounting medical bills, and no income. Is it fair? No. But take steps to protect yourself from these drivers by getting the coverage you need.